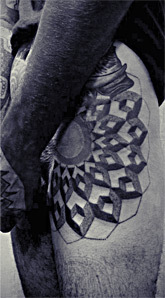 I’ve posted on Mateo’s BME logo pubic scar previously, which has been getting augmented with a growing and glowing aura of dotwork ink geometry by Jodi Lyford of Chimera (chimeratattoo.com) in Santa Cruz. She’s recently done more work on it, and it’s absolutely stunning. And the best thing about it is that it has an extremely realistic beard! 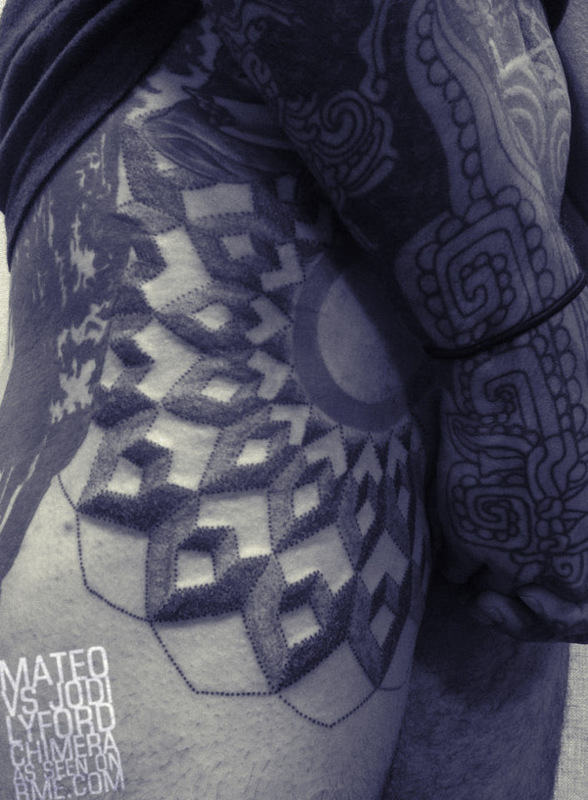 But seriously, along with Keff’s dotwork BME logo sleeve and Joeltron’s BME logo backpiece, Matteo’s easily earns a place in my shortlist of best BME-themed body art. On a barely related note, speaking of Mateo, that reminds me I’ve been meaning to post a picture of the great nostril jewelry that Pauly Unstoppable was wearing in his latest pictures (the connection is that Mateo has done many of Pauly’s piercings). It almost looks like the coils that the Kayan people wear around their necks, and to my surprise is a look that I rarely see even though it’s quite beautiful. 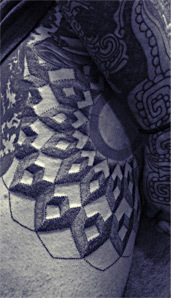 This entry was posted in ModBlog and tagged BME Logos, Dotwork Tattoos, Geometric Tattoos, Nostril Piercings, Scar and Tattoo Combos by Shannon Larratt. Bookmark the permalink. are they a series of segment rings? the right side (as you look at the pic of both sides) looks like its distoreted, so could be segment rings. 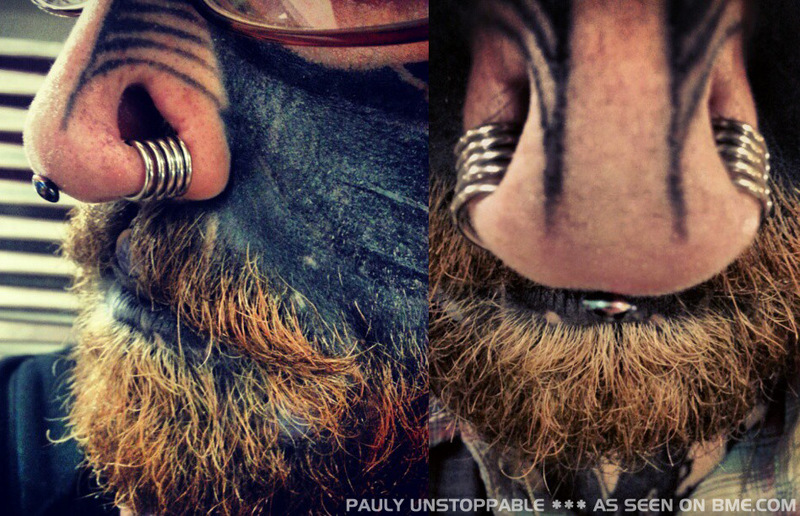 I normally hate stretched nostrils, but this actually looks pretty cool.